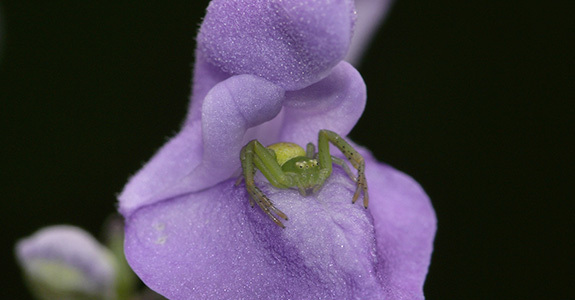 Skullcap (Scutellaria lateriflora), also referred to as hoodwort, mad-dog and helmet flower, is a hardy perennial with a lot of uses. Found growing natively in the wilds of North America and Canada, skullcap is a plant that has been used for medicinal purposes since the 1700’s. 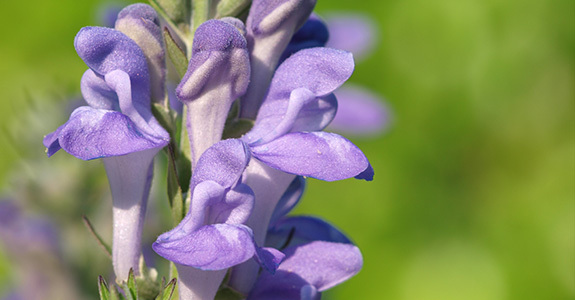 Unlike many other herbal supplements, both the root and the aerial parts of skullcap can be put to good use. However, it is not just the American continent that has been blessed with this herb. 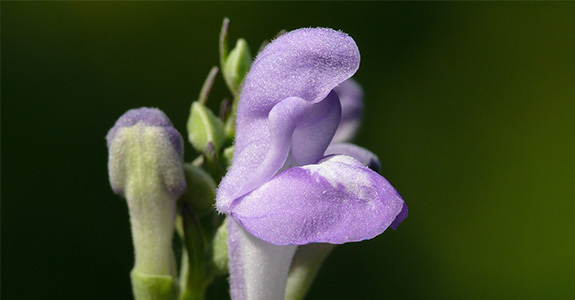 Variations of skullcap can now be found throughout Europe and Asia, with Asian varieties having a prominent place within traditional Chinese medicine. In the Americas, skullcap was traditionally used by the native Cherokee as a remedy for disorders revolving around female reproductive system, such as menstruation cramps and soreness. It wasn’t until settlers arrived that it was picked up for its other uses, namely calming disorders of the nervous system. 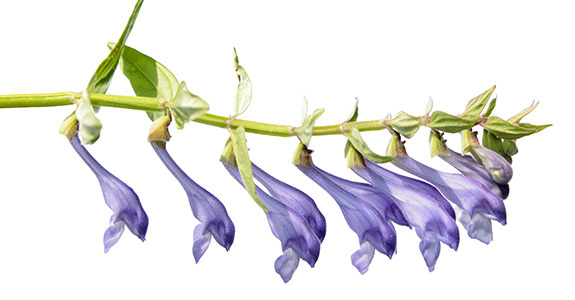 Skullcap is mainly used as a sedative that calms the nerves. It is mild in nature but is a great aid in relaxation and reducing stress. When used by its own, recreational effects are mild, which is why the herb is often used together with other herbs. On of the most common combinations is with valerian - to make a sedating and calming natural sleep aid. Other common mixes include the use of herbs like cannabis, salvia, catmint, passionflower, kava, damiana and blue lily. The most common way to use skullcap is through infusion. The actual procedure of preparing it is rather straight forward: Bring some water to a boil and use 1 tablespoon of dried skullcap for every 250ml of water used. Allow the mixture to simmer for 10–15 minutes, stirring occasionally. Strain and sweeten as desired (Skullcap can be quite bitter). If you wish to combine skullcap with other herbs, such as valerian, then all you need to do is simply add them into the infusion. However, bear in mind that some herbs, like cannabis, are not water soluble, and will require butter in the mixture to infuse properly. Skullcap is a member of the mint family known as Lamiaceae. It is a hardy perennial that is thought to be native to North America, and can be found growing in marshes, meadows and other damp habitats. The plant grows to a height of roughly 60 to 80 cm, and produces trumpet-like blue/purple flowers – each of which is just under 1cm in length. The flowers themselves do not often grow at the top of the main stem, but instead grow along the length of the plant’s side branches. Are you aged 18 or over? The content on Zamnesia.com is only suitable for adults and is reserved for those of legal age. Ensure you are aware of the laws of your country. Our online shop complies with Dutch law. By clicking Enter, you confirm you are 18 years or older. Bong Spare Parts & Access. Pipes Spare Parts & Access. Sign up and receive an exclusive welcome gift! Sign up for our newsletter and receive a welcome gift! By checking this box, I consent to Zamnesia sending me personalized emails including but not limited to messages concerning events, special offers, promotions and discounts.